They will not fit on 10-inch stock wheels. 12-inch stock wheels require our wheel spacers. 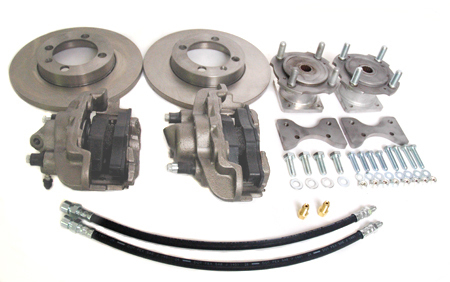 Complete FORD THINK Disc Brake Conversion Kit. Heavy Duty. 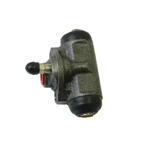 GEM Car Brakes Master Cylinder. Comes with pedal rod that fits 1999 - 2004. Complete Wheel and Brake Assembly. GEM CAR NEW BRAKE DRUM. 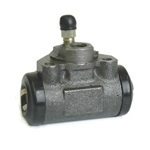 FITS 1999-2004 FRONT AND 1999-2012 REAR. Gem Car Part # 0311-00833 (Right) and 0311-00834 (Left). Semi Metalic Brake Pads. Sold as a set of 2, enough for 1 wheel. Buy 2 sets of 2 to do both wheels. For GEM Cars years 2005 - 2012. Rubber replacement pad for brake pedal. GEM Car Front Sealed Wheel Bearing for 05 - 12 vehicles. GEM Front wheel bearing seal for 05 - 12. Sold individually. 2 required per wheel. Will fit your 1999 - 2004 GEM cars passenger and utility models. Total length of this hose is 495mm. Gem Car Part # 0111-00262 (Right) and 0111-00261 (Left). Will fit your 2004 & earlier gem cars passenger and utility models. Total length of this hose is 710mm. Gem Car Part # 0111-00268. Total length of this hose is 485mm. Gem Car Part # 0111-00269. 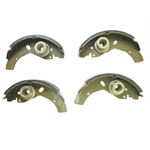 FORD THINK BRAKE SHOE SET. Comes with 4 shoes to do 2 wheels. Fits front or back wheels. FORD THINK FRONT WHEEL BRAKE CYLINDER. FORD THINK REAR WHEEL BRAKE CYLINDER. GEM Car Front or Rear Brake Spring Kit. Ford Think Neighbor Front or Rear Brake Spring Kit. Polaris - GEM Electric Car Brake Lever Spring Kit. FORD THINK Car Brake Lever Spring Kit. SINGERED Brake Pads. Sold as a set of 2, enough for 1 wheel. Buy 2 sets of 2 to do both wheels. For GEM Cars years 2005 - 2012.